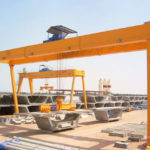 Truss gantry crane is suitable for carrying out small and heavy duty lifting work in a variety of outdoor areas such as port, railway, shipyard and quay. The truss structure is designed to prevent the attack of strong winds and storms. 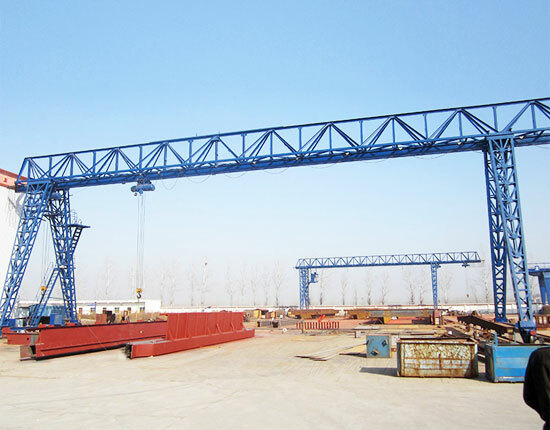 Therefore, the truss type gantry crane has numerous advantages such as light weight, low cost, small wheel pressure and excellent wind resistance. With regard to different girder constructions, the truss gantry lifting equipment can be classified into single girder and double girder. 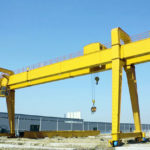 Ellsen manufactures multiple types of gantry cranes to serve a wide range of applications. We are also capable of designing customized gantry lifting system for your special needs. Contact us now to get a free quotation. 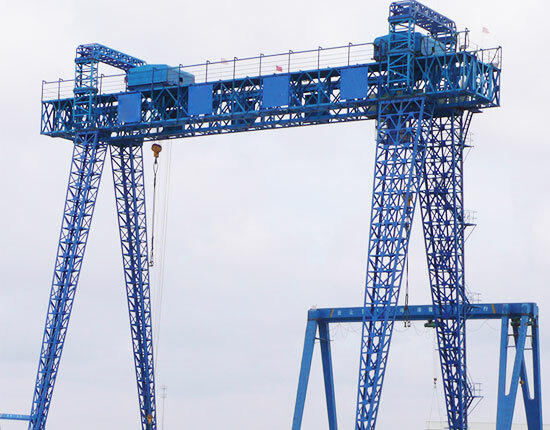 Our truss gantry cranes are designed to cater to individual lifting applications of customers. This truss type gantry crane falls in two main configurations including single girder crane and double girder crane. Each type can be built with certain designs as needed. The single truss gantry crane is a kind of small and lightweight gantry crane, usually equipped with CD and MD electric hoists. European standard hoist is also available on demand. The single girder truss gantry crane is an efficient lifting solution to handle small and medium sized materials with capacity in a range of 3 ton to 16 ton. 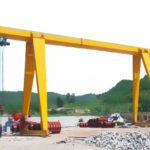 The crane span generally ranges from 12 to 30 m.
The single beam gantry crane usually has low lifting speed, simple structure, light dead weight, easy fabrication and installation, making it perfect to lift and move light loads. 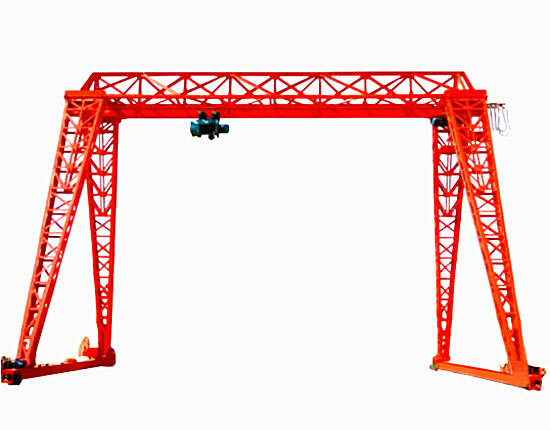 The double beam truss gantry crane has the capability to undertake heavy lifting tasks. Its capacity is in a range of 5 ton to 200 ton and span ranges from 18 to 35 m. This style of truss lifting system is a typical A frame gantry crane, and the main beam can reach beyond the crane runway on one side or both sides to form cantilevers. The supporting legs can be divided into rigid legs and flexible legs, and the latter is designed to compensate structural deformation caused by the change of temperature. Compared with single girder crane, the double girder truss gantry crane has larger capacity, greater lifting height and speed. It also has strong rigidity, high utilization, wide adaptability and stable performance. With respect of different working environments and lifting requirements, the truss gantry crane adopts different designs, such as with or without cantilever, light duty or heavy duty truss design. According to the type of materials to be dealt with, a variety of lifting tools are available such as hook, grab, electromagnetic chuck and spreader. To know more about truss gantry crane designs, contact our sales team online today. How Does Truss Gantry Crane Benefit You? The truss style gantry crane is an ideal material handling solution widely used to improve production as well as ensure safety. It benefits crane users in many ways. Truss gantry crane provides small windward area, effectively reducing wind resistance. 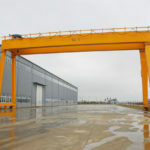 The structure and components of truss gantry crane adopt shaft connecting, making it easy to assemble, disassemble and transport. 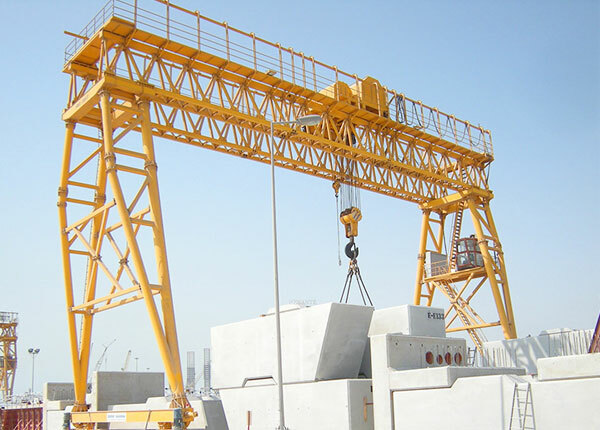 This lifting equipment is usually controlled by means of cab room so as to ensure the safety of operators. Truss gantry crane is capable of getting heavy lifting jobs done quickly and efficiently, significantly promoting productivity for your production lines. 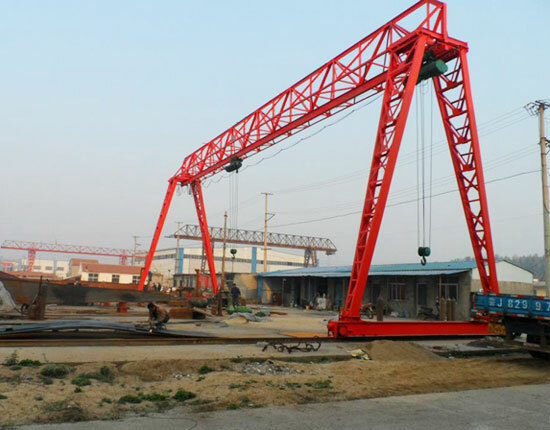 The gantry crane equipment produced by Ellsen is designed with sturdy structure. With the adoption of quality components and precision machining, our gantry cranes have superior quality and prolonged service life. 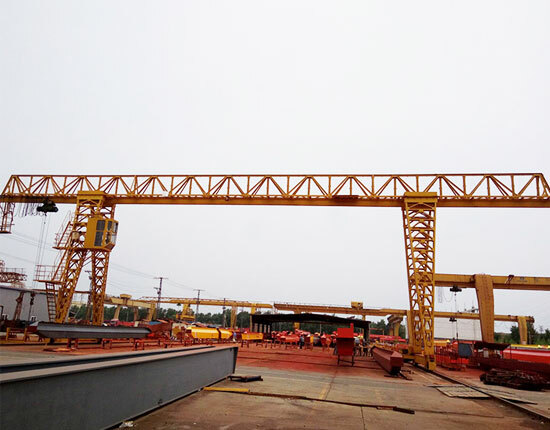 Under strong wind environment, our truss gantry crane can realize a stable and reliable performance. What is the capacity and size you require for the equipment? How often will you use the equipment, intermittent or frequent use? 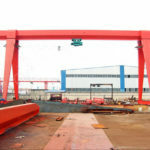 Where will the truss gantry crane be used? What kinds of materials are you going to handle? Are there safety hazards existing in the working environment? What control system will you need to drive the crane to move? What safety devices do you need to increase safety? What is your budget for a truss gantry crane? A comprehensive consideration can help you select a proper truss gantry crane and save time and money for you. 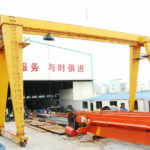 We are also very happy to assist you to design the best gantry lifting system. If you have any question, please feel free to contact us, and we would love to answer your questions and solve problems for you. 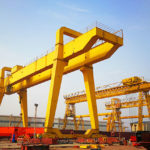 Each year many gantry crane accidents occur because of human errors or components failure. Some accidents may not only threaten the safety of property, but people’s lives, thus it is critical to ensure a safe operation. 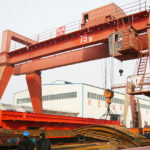 For crane operators, they need to receive professional training and obtain relevant certificate before taking the jobs. During operation, they should strictly comply with operation manuals and always focus on the lifting work. Any negligence may lead to serious or fatal accidents. Regular inspection and maintenance of truss gantry crane should be conducted in order to make sure it is in a good working condition. Due to truss structure design, this gantry lifting system has a large number of welding points, so a frequent detection of welding points should be conducted so as to ensure a secure operation. Besides, a variety of safety devices like rain cover are usually equipped to protect the equipment. As a subsidiary of Aimix Group, we have specialized in designing and manufacturing material handling equipment for a long time. We have a professional technical team to design efficient, safe and durable lifting systems to serve your practical needs as well as save cost for you. 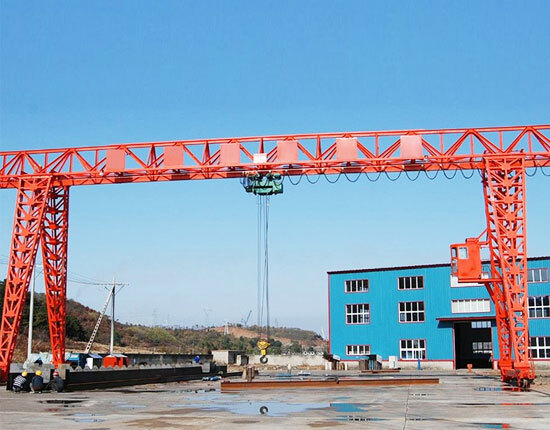 As leading gantry crane manufacturer and servicer in China, we provide one-stop lifting solution encompassing the selection of equipment model, equipment manufacturing, delivery, installation, commissioning and maintenance. We are also committed to the crane R&D and quality control management so as to improve the crane quality and performance. We aim to serve clients with heart and soul and create greatest value for them. To learn more about truss gantry crane, contact our sales manager and experts online or leave us a message. We are willing to establish a long-term relationship with you.